OK – This Christmas Foodie gift idea is kinda tricky to explain. 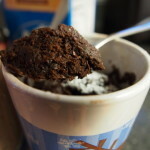 Have you had Chocolate Covered Katie’s One Minute Chocolate Cake in a Mug? If you haven’t, I’m letting you know upfront – I can’t be held responsible for introducing you to this kind of decadence. 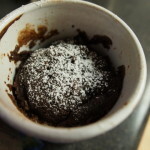 It’s a single-serve chocolate cake you “bake” in a mug in the microwave. In other words it is basically the answer to every bad day, and/or the ultimate afternoon pick-me-up. It dawned on me that if one cake in a mug is nice for me, how nice of me would it be to present someone with the ready-made mix that they could whip up any old time they felt the need? 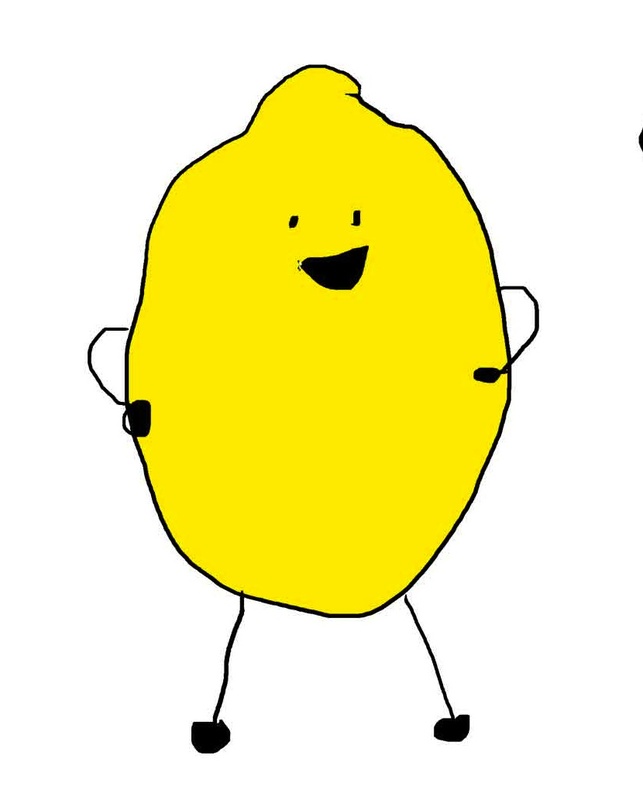 Introducing Christmas Foodie No. 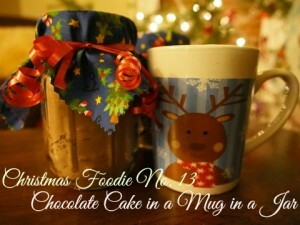 13: Chocolate Cake in a Mug in a Jar. That totally cleared it up, right? This would be a great homemade gift for any chocoholics you know. I’m especially thinking of a teacher-chocoholics or dorm-dwelling chocoholics, but really it’s for anyone whose day would be remarkably more bearable/enjoyable with the added convenience of a mini, personal, anytime chocolate cake. Yes, food is a crutch. When the going gets tough, even the toughest of us heads to the pantry. It is beyond super cute to put this mix in a 6oz canning jar and present it inside a cheesy 8oz (or larger) Christmas mug – makes a great presentation. However, a 6oz jar holds only 2 servings. 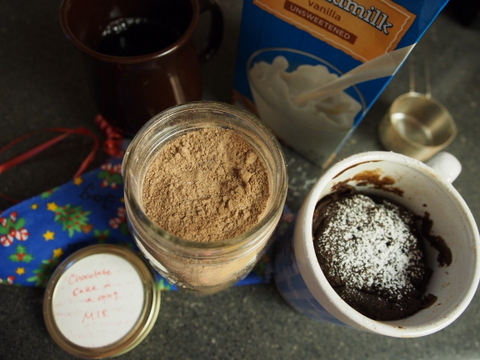 If you are truly looking to enable chocolate-cake-in-a-mug as a habit you’ll want to present 4 servings in a 12 oz jar (possibly accompanied by a 1/4 measuring cup). *Please note: this recipe was derived, multiplied, and adapted from Chocolate Covered Katie, with much thanks and enjoyment. Whisk all ingredients thoroughly in a bowl. Use a regular or canning funnel to pour the dry mix into a 12oz canning jar. 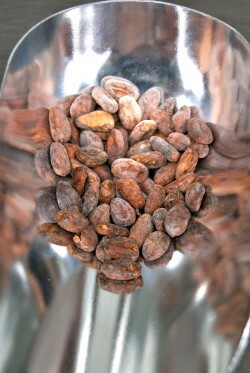 Label, include instructions, decorate/wrap, and gift it to your favorite chocoholic. Instructions: Scoop 3/4 cups of chocolate cake mix into an 8oz mug. Add 3T milk (or milk substitute), 2-3t oil, and a dash of vanilla. Stir it all together well with a fork or spoon. Microwave 60-80 seconds, until you see the cake rise up and the top is dry and springy. 1 T butter (softened), 1 tsp milk, splash of vanilla, pinch of salt, 1/4 c powdered sugar. Whip the butter lightly with a fork, then add milk, vanilla and salt. 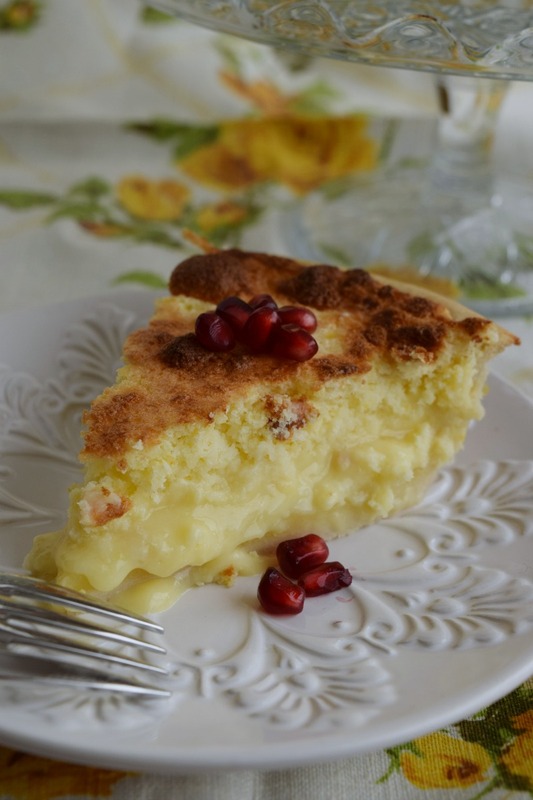 Add powdered sugar 1 T at a time until you reach your preferred consistency. Frankly, I’m not sure if this gift is a blessing or a curse. 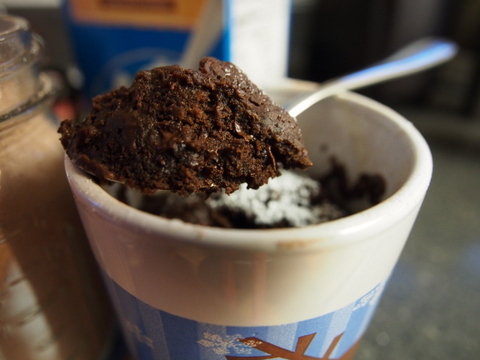 A few years ago I had a ritual of chocolate cake in a mug every afternoon (ah, to be nursing again!). But now if someone handed me a jar of chocolate cake in a mug mix I would wonder if they were truly my friend. 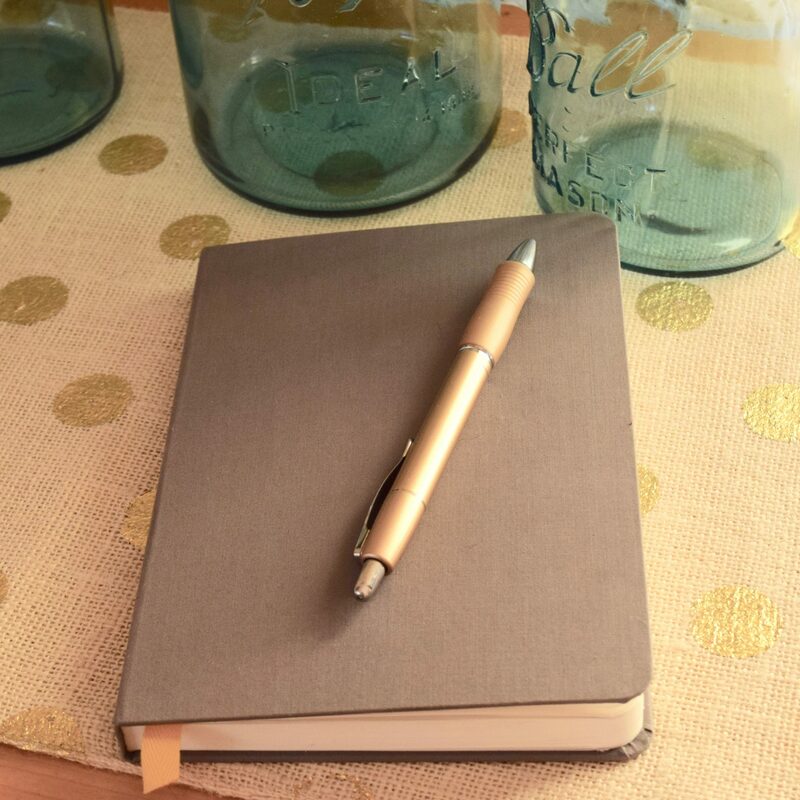 As with so many things, it all depends on your current relationship with food and chocolate.